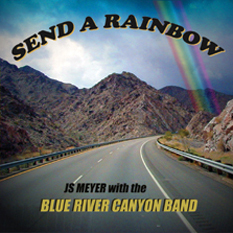 After several deaths in his immediate family and the life changing self-reflections that come with great personal loss, JS MEYER began writing this collection of songs as a celebration of life. 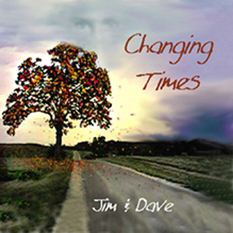 It’s a musical patchwork quilt of sorts, filled with stories about being young, growing old, and life in between. These are songs that everyone can relate to. 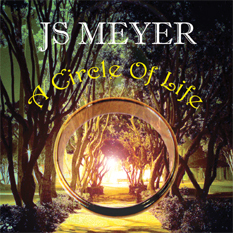 A CIRCLE OF LIFE - JS MEYER - Copyright 2009 - Living Side Music (BMI) All music/lyrics by JS MEYER. Put on some headphones or crank up the speakers while you listen to the music. Starting from the top, the player will automatically play the next song while you follow along with the lyric links. Note: This web site uses a streaming audio player that presents the music in a convenient format for playing entire songs as opposed to 30 second samples like most MP3 download sites. This works well with JS Meyer’s music because the lyrics need to be presented from start to finish in order for the listener to appreciate the complete story and underlying moral (or meaning) of each song. The drawback is the audio quality falls somewhat short of a high quality MP3 or CD. Purchasing the CD or an official MP3 download (192 or better) ensures the best listening experience possible.